Wildeck’s optional SafeLock™ and DeckStop™ systems are available for Wildeck VRCs (vertical reciprocating conveyors) and provide an additional level of safety based on your specific applications requirements. In addition to the Wildeck VRCs standard carriage free-fall device, these supplemental carriage locking devices add heavy steel locks to each VRC column to prevent accidental descent of a raised carriage. 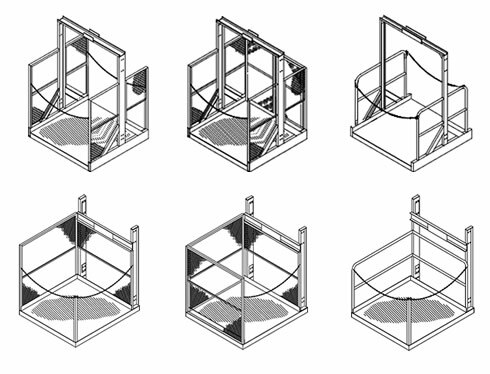 When the VRC carriage arrives at an upper level, the systems lock the carriage in place either through an automatic (SafeLock) or manual (DeckStop) operation. 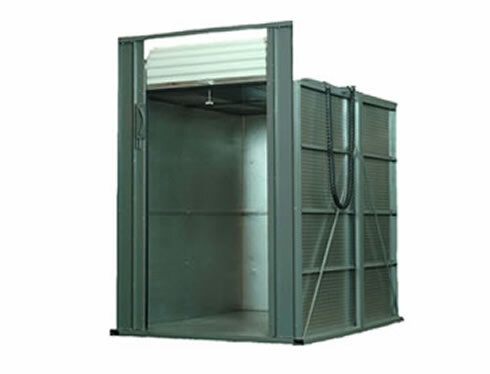 The result is additional peace-of- mind for operators and facility personnel during the VRC loading and unloading process. Activation Automatic – failsafe, carriage locks automaticaly when arriving at protected level. Manual – Simple, reliable, no pneumatics, solenoids, etc. Locking arms provide a secondary visual barrier at the loading point. 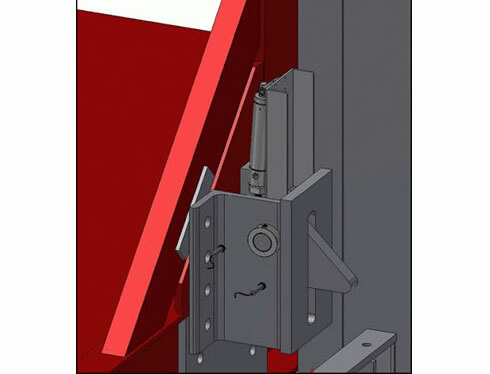 Operation When the VRC carriage arrives at an upper level, the SafeLock pneumatically actuates, locking the carriage in place. (electrically actuated version also available). 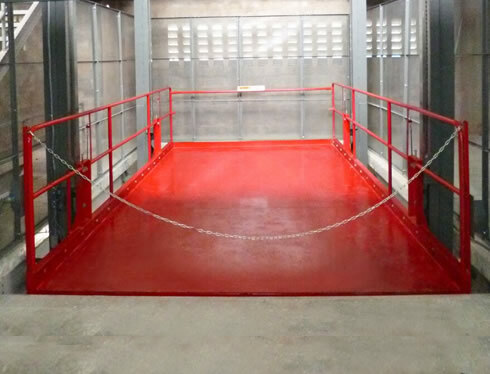 When the VRC carriage arrives at an upper level, personnel open the floor level gate then raise the DeckStop locking arms to lock the carriage in place. Components Locking cam system, proximity sensors, operation/monitoring controls. Locking arms, push-pull cables, locking cams, proximity sensors, monitoring controls.